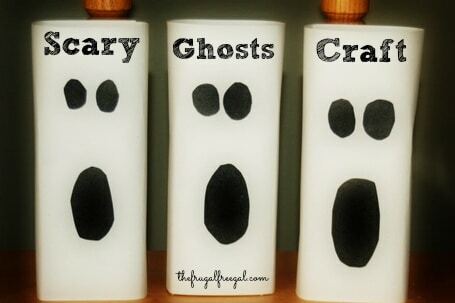 If you’re looking for frugal Halloween decor for your house you simply MUST make some ghosts! Ghosts are so much fun and these ghosts are incredibly EASY to make. Not to mention easy on your wallet! You can make them to decorate your house, or spend the morning with your kids creating them and then decorating. For my ghosts I used old scrap blocks of wood that my husband was about the throw in the trash. I taped one piece of white construction paper around each block, then glued on 3 black circles for the ghost’s eyes & mouth. 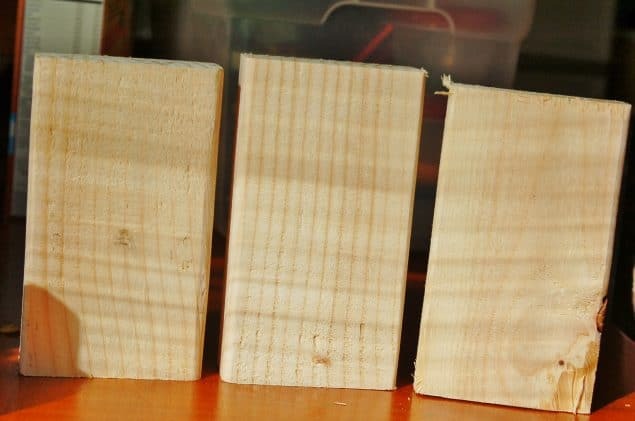 Don’t have scrap wood blocks laying around? (Don’t worry – we don’t usually either!) You can also do this with grocery boxes, cereal boxes, toilet paper tubes, pasta boxes, soup cans or anything else you may have lying around the house! You could even do a mini-version using your kid’s juice boxes! It’s a fantastic way to get in the Halloween spirit and decorate your house on a budget! Not to mention that the kids can help too! 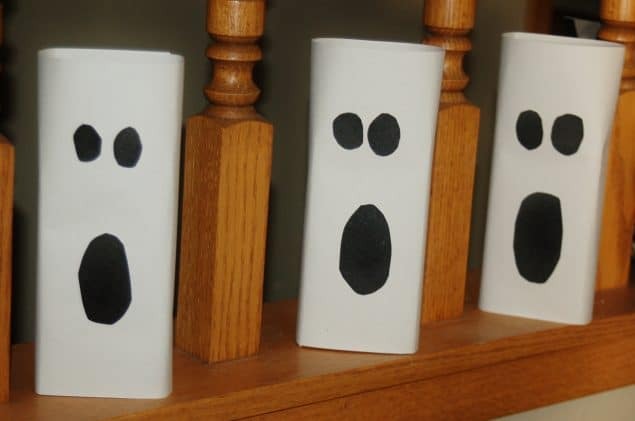 These ghosts look great lining a stairway, placed on stairs, in windows, on tabletops and just about everywhere else! I have mine along the stairwell in my kitchen and they just cheer me up when I walk in the room! Now that is my kind of Halloween decorations and with my current budget I can afford to make these. Thanks for sharing.